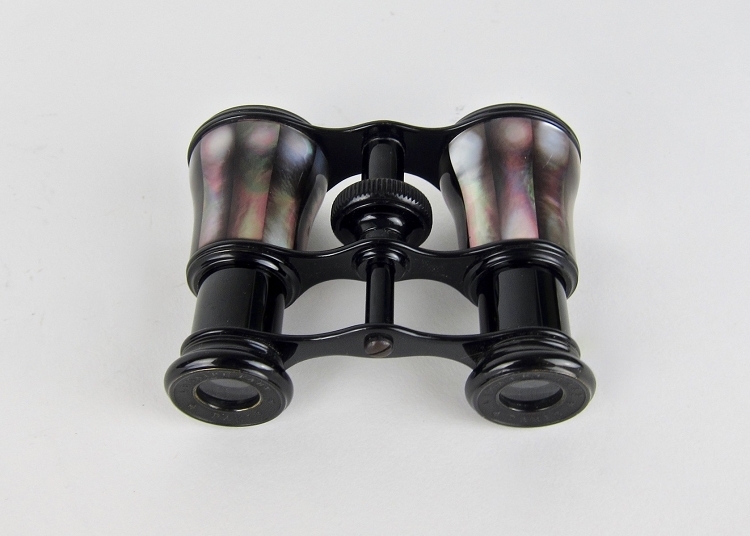 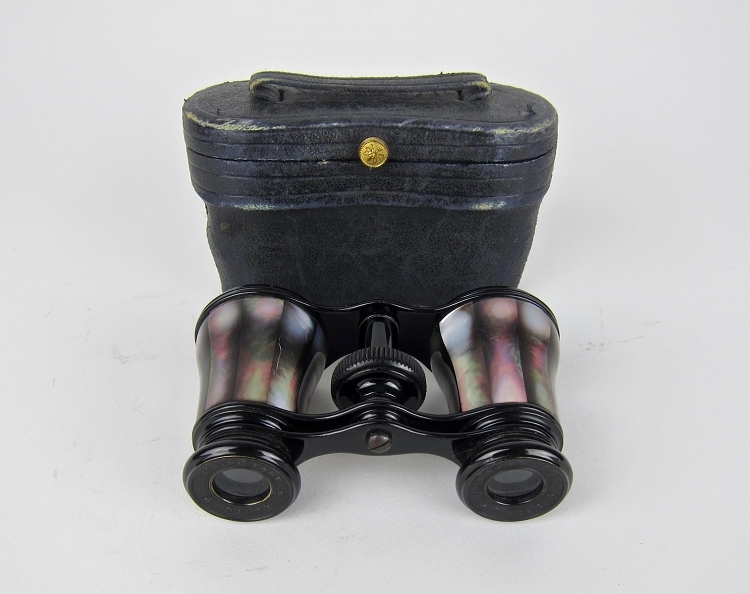 An elegant antique pair of French opera glasses or small binoculars manufactured by LeMaire of Paris. 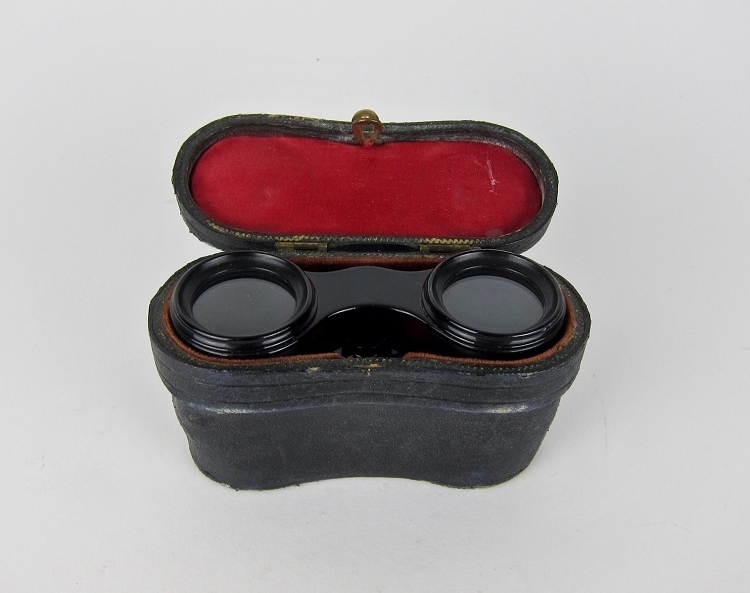 The glasses date between 1890-1920 and retain the original fitted leather case. 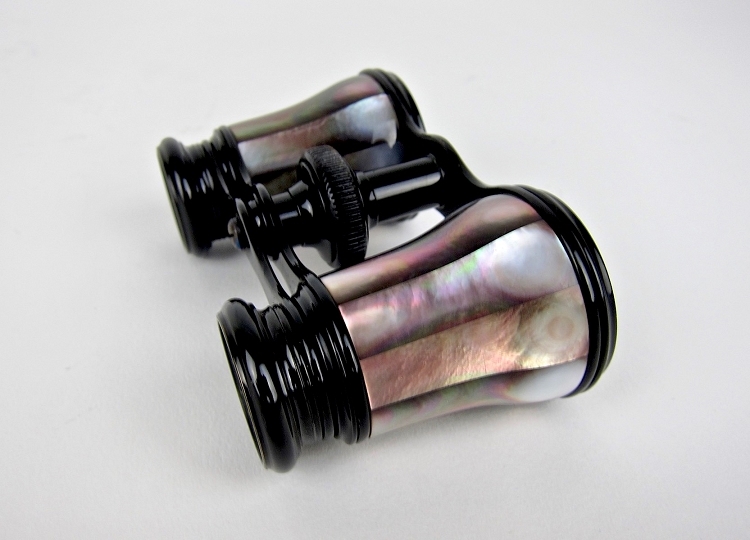 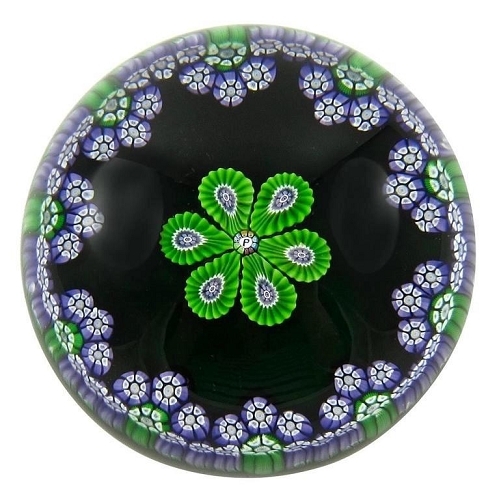 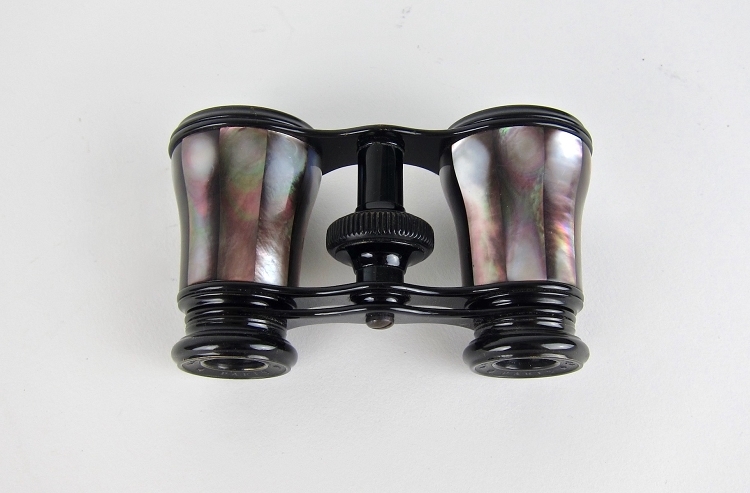 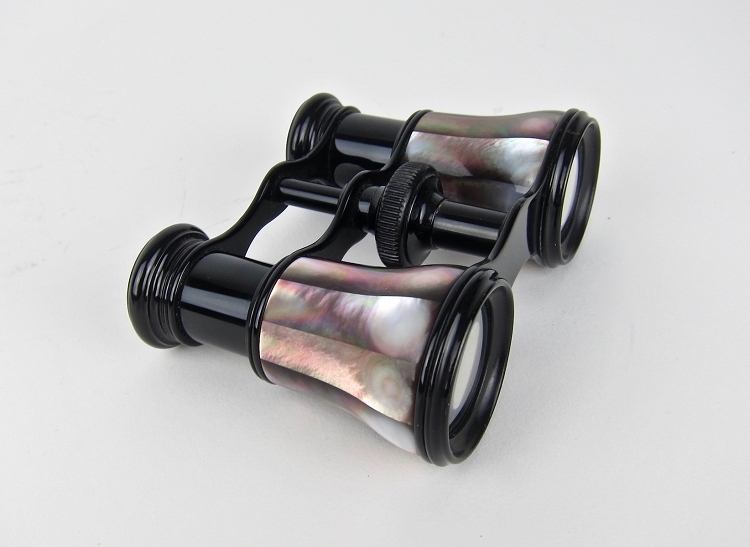 The telescoping glasses have a black metal frame with barrels ornamented in dark iridescent abalone / mother-of-pearl. 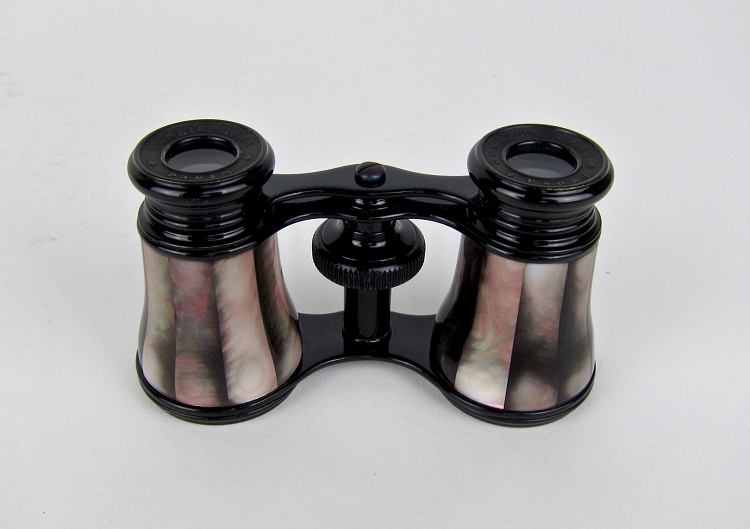 The eyepieces are marked "LEMAIRE FABT PARIS" with LeMaire's bumble bee logo. 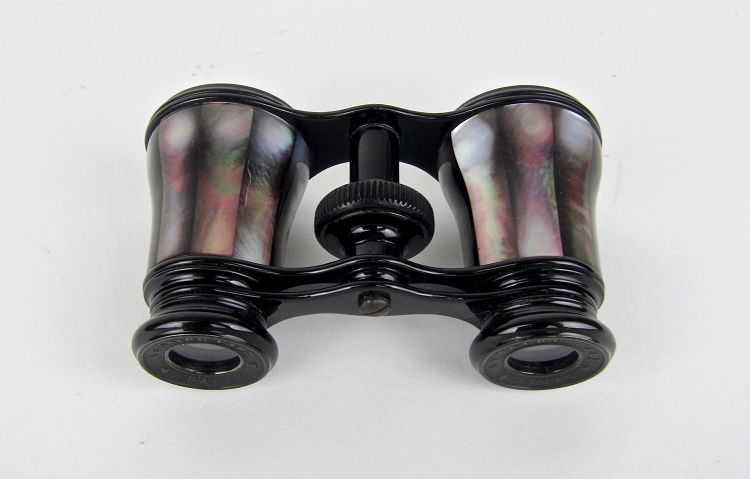 The glasses are in good working condition and the optics adjust by turning the central focus wheel. 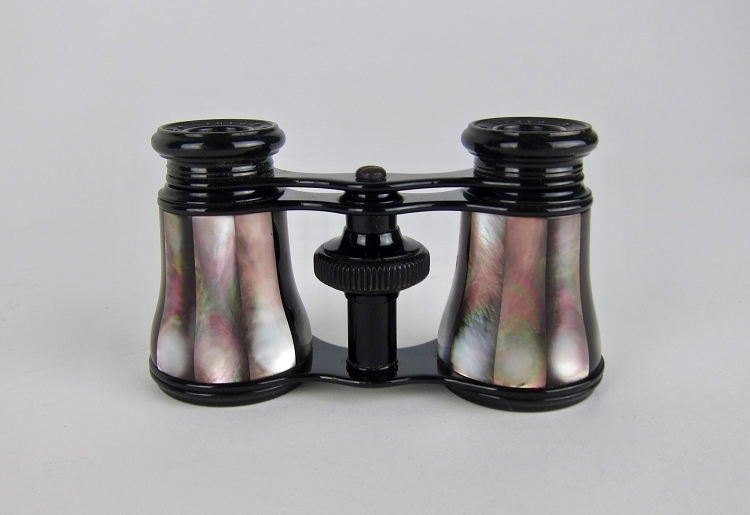 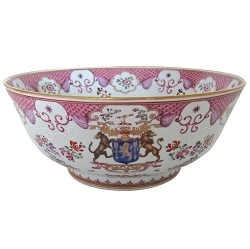 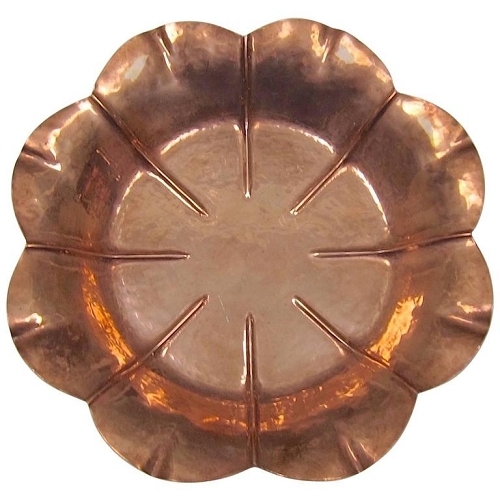 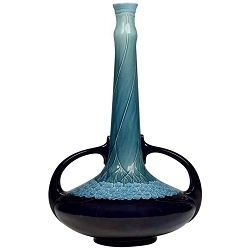 The glasses show exceptional workmanship and remain in very good condition with only a few minor surface scratches. 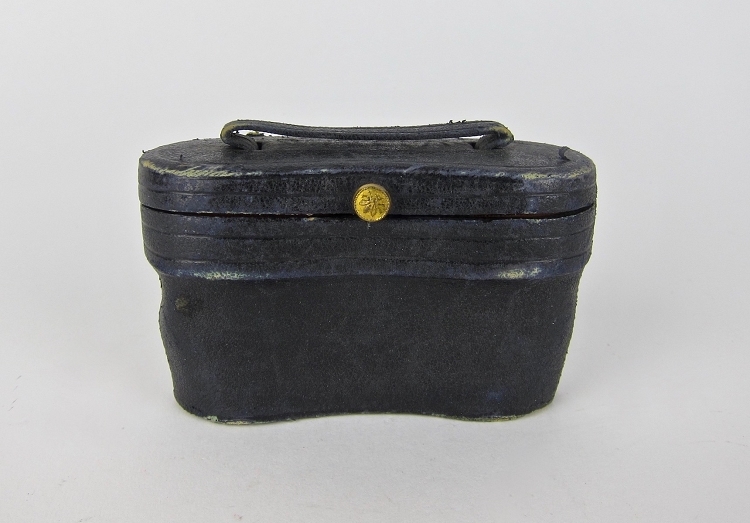 The fitted carrying case of black leather with a red silk lining is distressed with scuffs, separations, and a missing lower component of the clasp, measuring 4.38 in. 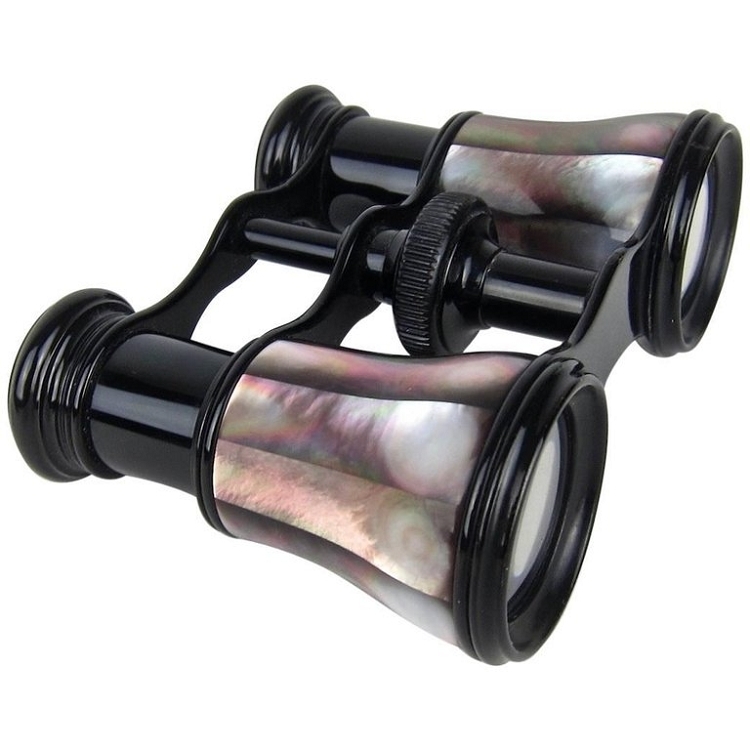 L x 2.75 in. 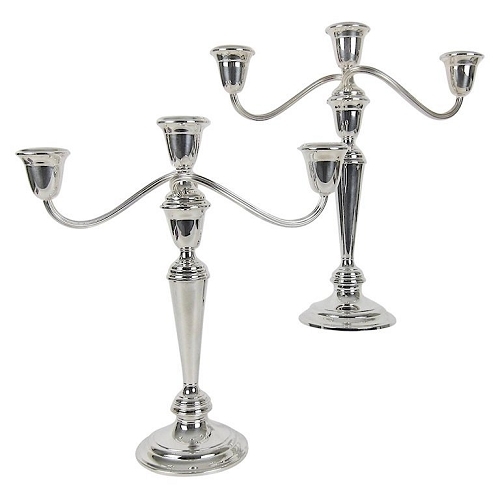 W x 2 in D.